Also, I hope that’s not how it actually looks on the iPad. Surely they’re going to use that space more effectively for notifications given the larger screen size. 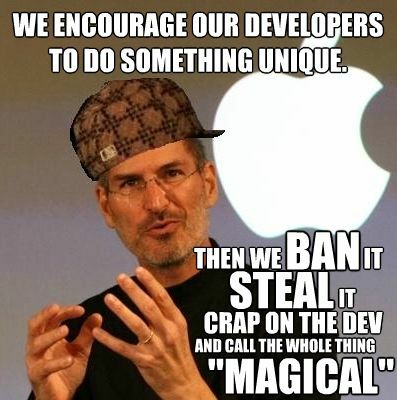 The 6 minute video outlining the features of iOS 5 contains not a single original idea. It felt like last week all over again, when I woke up to people abuzz about Twitter being fully integrated into iOS 5 and thought I was completely missing something; so, you mean, you can access Twitter via a context menu within the iOS? You couldn’t already do that…? Every app that’s relevant in the context of where you are in the OS can’t do that…? I must be spoilt on Android! 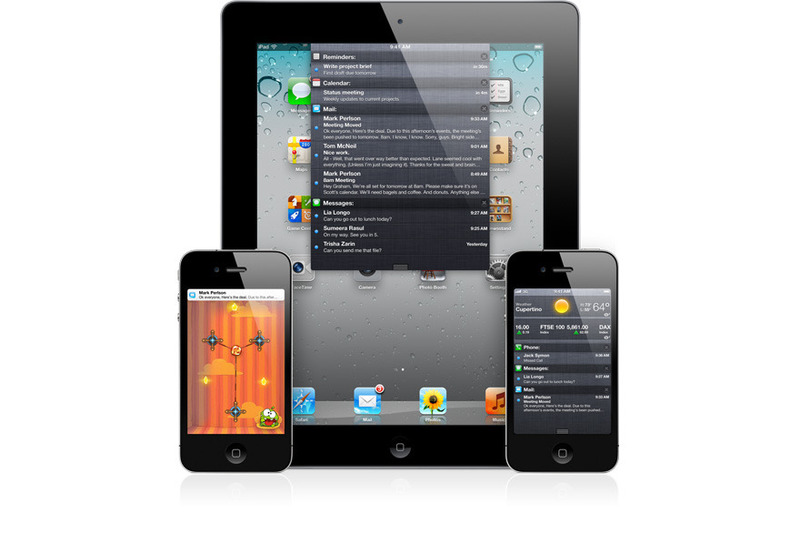 iOS 5’s 200 features have been taken from Android, third party and jailbroken apps. And baked into the OS as “features”. What’s Apple trying to do here? They went from no App Store to encouraging the heck out of applications, but I wonder how all the developers that have created these apps will feel when users can now turn to in-built features on the phone, and no longer have to use their applications. Are Instagram’s filters going to be part of photo editing on iOS 6? Really though, this makes me happy for the future of Android. They have a year to really push ahead and innovate in so many new ways. Honeycomb was a fantastic step in that direction, with Google realising that the real estate and use cases that come with a tablet deserve a new take on the OS, not just a scaled up port.